Recently, I purchased a makeup palette that I’ve been hearing about for a while. 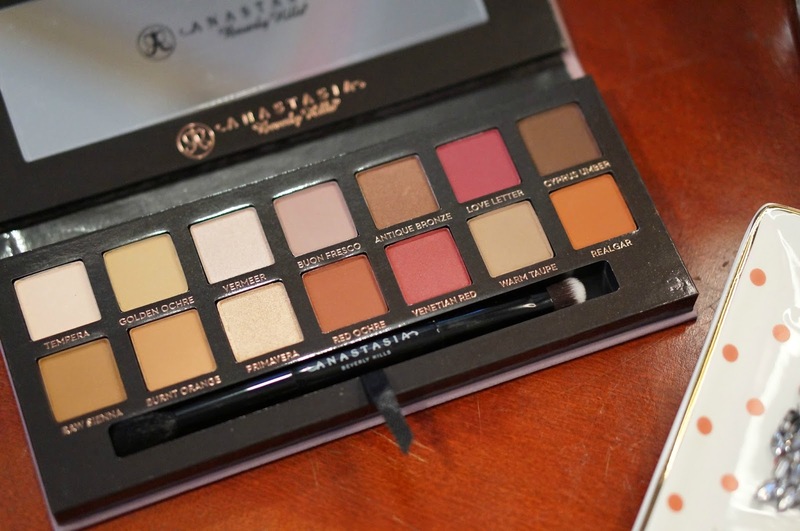 The Anastasia Beverly Hills Modern Renaissance Palette was released last year, and I held off purchasing it. The colors are not what I usually go for, so I kept an eye out for tutorials and reviews on Youtube. Turns out, it’s very versatile. The looks I’ve seen have ranged from everyday to dramatic. The common thread between all the tutorials is that the colors are so flattering on every single skin tone. 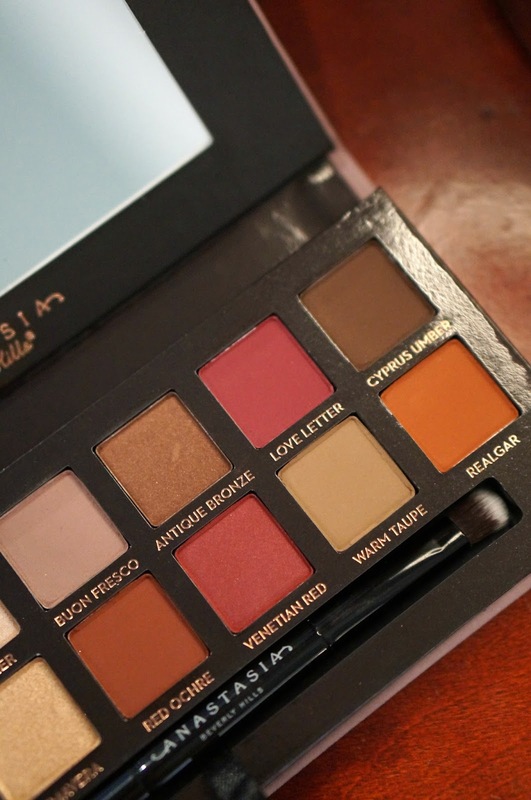 The palette comes with 14 eye shadows and one double-ended eye shadow brush. Typically, I don’t like eye brushes that come with palette; however, this one is very nice. The fluffy end is perfect for blending out your crease, and the shader end really packs on the color. Each shadow is 0.02 ounces, and the palette costs $42. That makes each eye shadow $3. 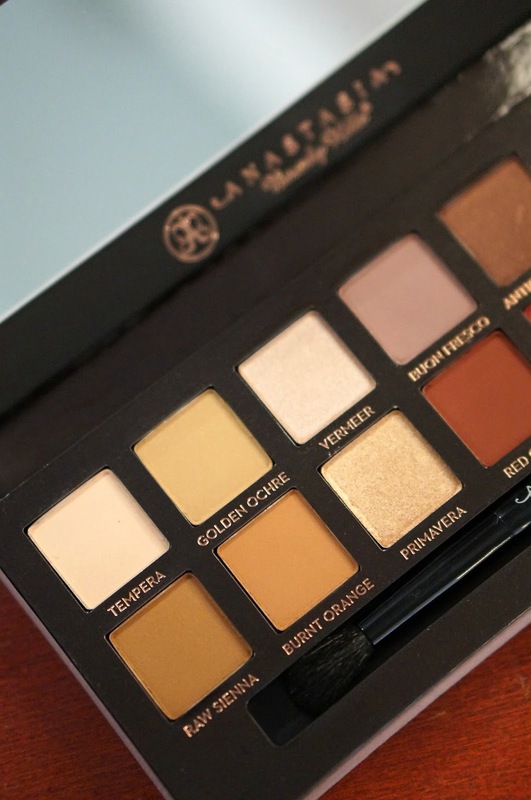 This makes it a pricier palette, per eye shadow. For example, the Urban Decay Naked Palette is $54 for 12 eye shadows, which makes each eye shadow $4.50. Each shadow is 0.05 ounces. If the Anastasia Beverly Hills palette eye shadows were the same size as the Urban Decay eye shadows, they would cost $7.50 per color. 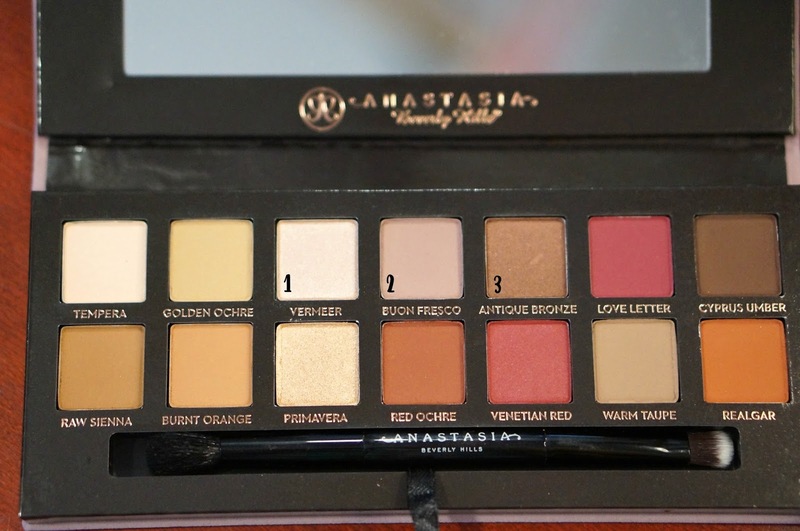 So, basically you’re getting more variety but smaller eye shadows with the Anastasia Beverly Hills palette. That being said, I have absolutely fallen in love with the colors. 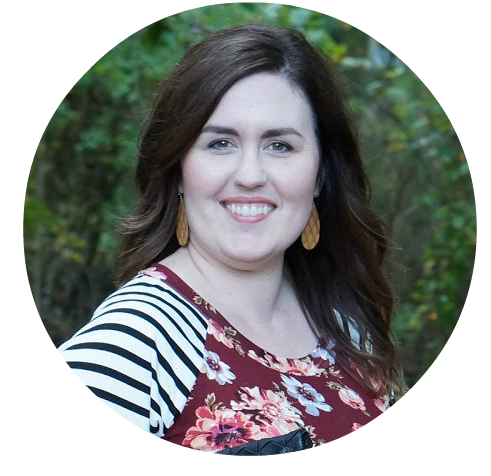 They are so flattering, and the formula is amazing. The shadows go on smoothly and without any fall out. Not to mention, they are highly pigmented and blend together beautifully. In case you couldn’t tell, I am a huge fan of Urban Decay eye shadows and these are just as good. 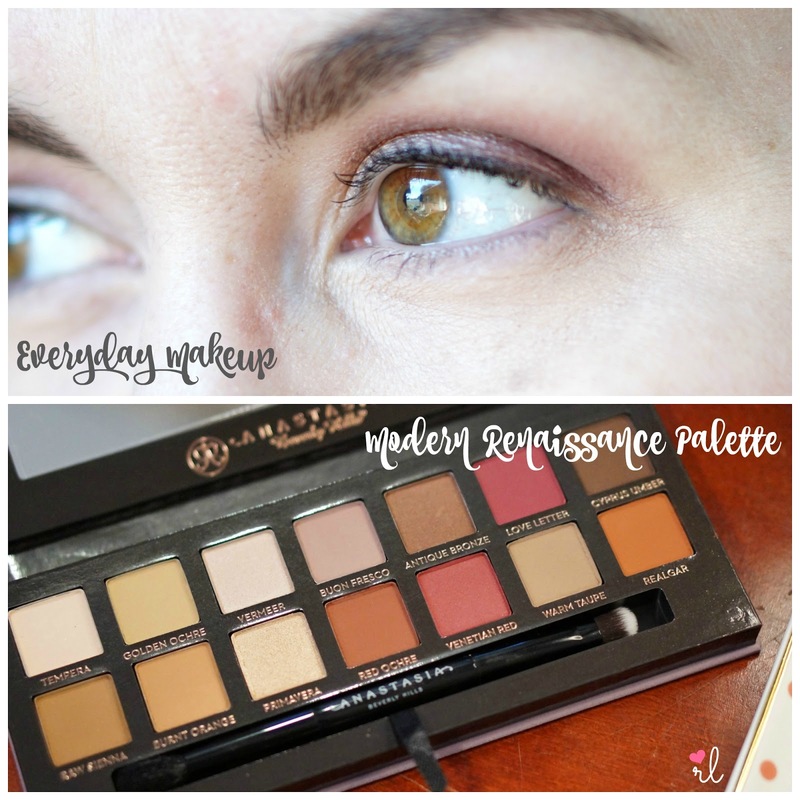 I wanted to share my everyday go-to makeup look from this palette, just in case the warm tones and matte colors were intimidating. I was instantly drawn to the Vermeer color, not only because it’s a pretty color but also because I was slightly obsessed with learning about Vermeer way back when I was taking art classes in college. This palette was inspired by the Renaissance painters, and they are meant to be updated versions of the colors typically found in their paintings. Vermeer is a gorgeous base shade. I apply that all over my lid. 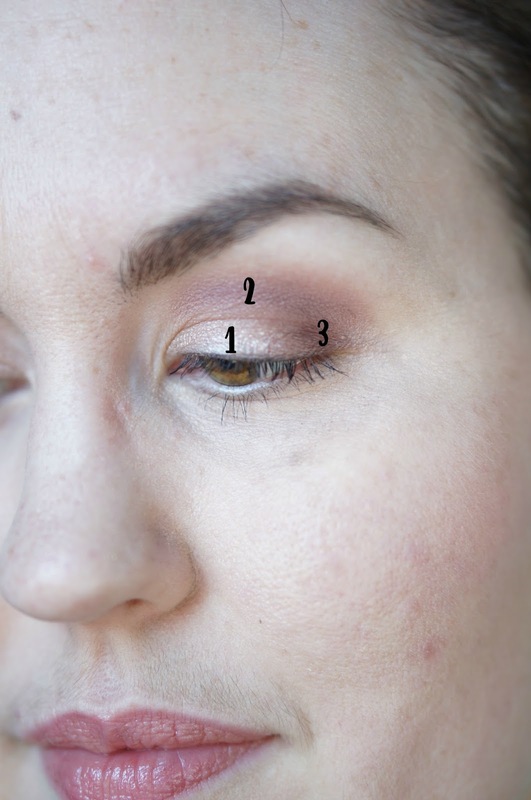 Then, I take the next color Buon Fresco and blend it into my crease. I build up the color with a couple layers. 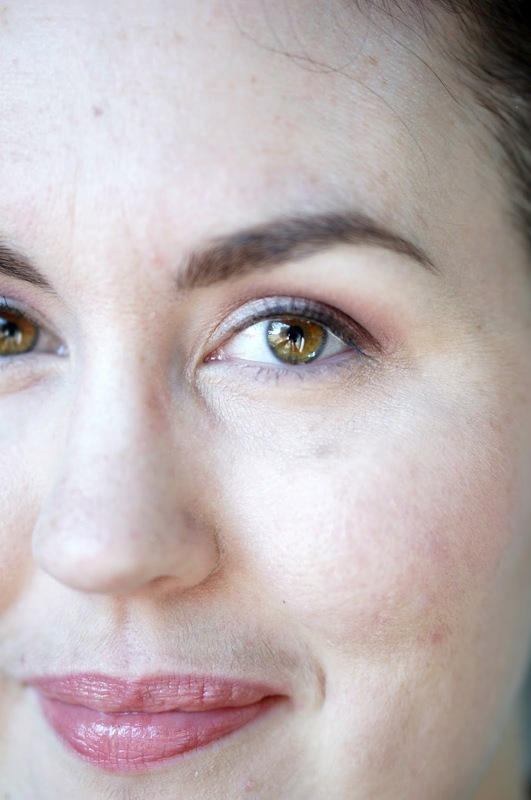 The third color I use is Antique Bronze, which I apply to the outer corner of my eye and blend it inwards. For eyeliner, I used my tried and true Maybelline Skinny Eyeliner and my Rodial Smokey Eye Pen (which was sent to me). Lately, I’ve been combining mascaras. For this look, I used Clinique High Impact Mascara and Rimmel London Super Curler. 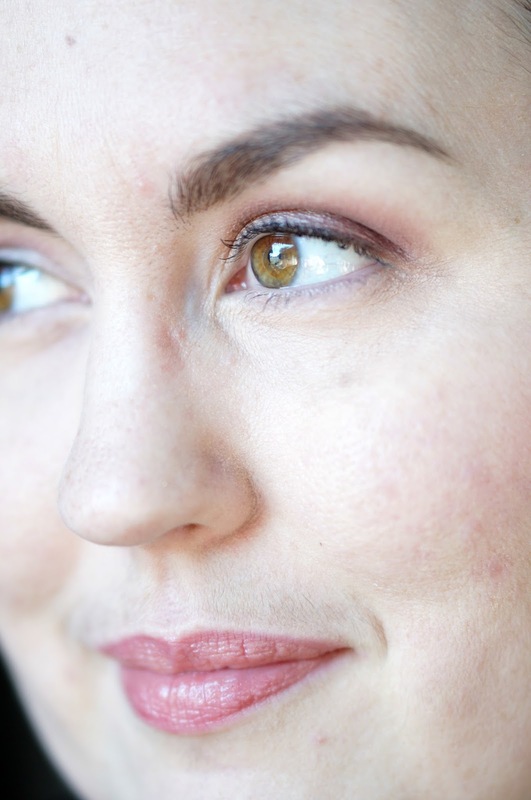 I love having a go-to makeup look, so it’s super easy to get out the door quickly!